Maybe the SPR deal is a sign of war preparations? I can’t rule out temporary insanity but the Reuters report on oil reserves still looks like a misread by the market, to me (and I’m not the only one). Call me a conspiracy theorist, but one takeaway from a bilateral US-UK deal on oil reserves is that it could be part of a plan to prepare for war with Iran. The top hurdle to going to war is the potential oil price spike, which could choke out the US recovery. This agreement could be part of a plan to coordinate the release of reserves with an attack. 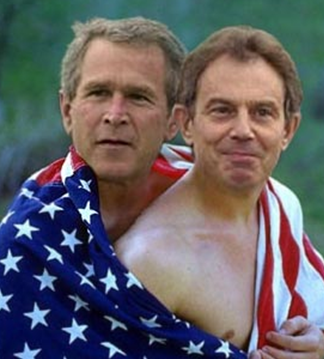 Obama/Cameron is the new Bush/Blair?